Star of the show two days earlier for Hong Kong at the 2016 Hungarian Junior and Cadet Open in Szombathely had been Minnie Soo Wai Yam; impressively she had won the Junior Girls’ Singles title. Two days later on Saturday 5th November, the player to stand centre stage was colleague, Mak Tze Wing; she remained unbeaten as Hong Kong secured the Junior Girls’ Team crown. 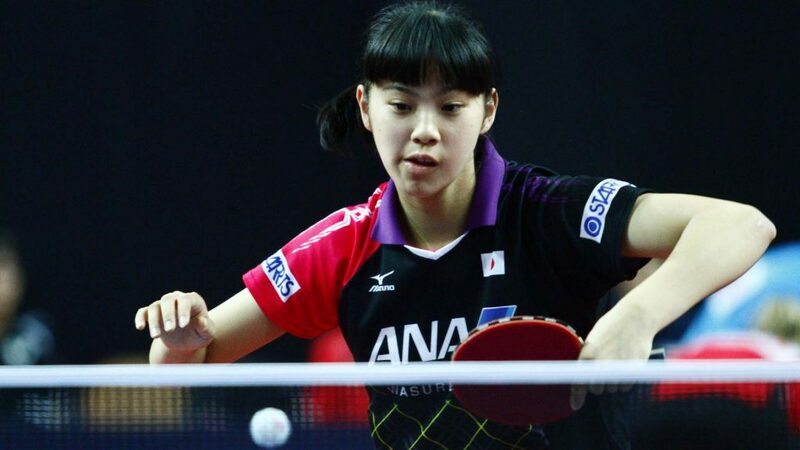 The no.2 seeds, at the final hurdle, with Minnie Soo Wai Yam and Liu Qi lining up alongside Mak Tze Wing; a three-two success was recorded in opposition to the top seeded Japanese formation of Miyu Nagasaki, Yuto Kato and Maki Shiomi. Mak Tze Wing was both the backbone of the victory and the heroine of the hour. She beat Miyu Nagasaki in the opening match of the fixture 11-5, 14-12, 6-11, 11-3), before in the fifth and deciding contest of the engagement, defeating Yuko Kato (11-8, 11-7, 11-7, 11-4). The one further win for Hong Kong was posted in the second match of the engagement when Minnie Soo Wai Yam overcame Yuko Kato (11-9, 11-5, 11-8). Meanwhile, the successes for Japan were secured in the third and fourth matches of the contest as a recovery was mounted. Maki Shiomi beat Liu Qi (11-7, 11-8, 5-11, 11-6), before Miyu Nagasaki overcame Minnie Soo Wai Yam (7-11, 11-9, 5-11, 11-13, 11-9) to inflict the only defeat on the Hong Kong player in the whole tournament. 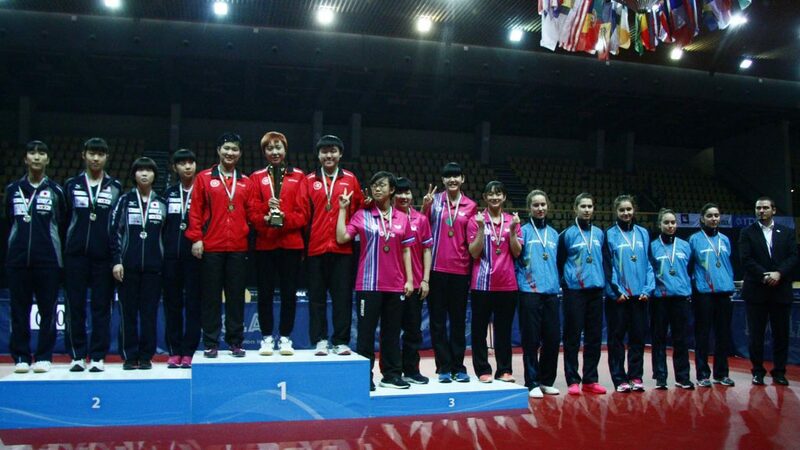 Earlier at the quarter-final stage, Liu Qi, Mak Tze Wing and Minnie Soo Wai Yam had beaten the Russian combination of Kristina Kasantseva, Daria Shadrina and Valeria Shcherbatykh, the no.6 seeds, by three matches to nil; before recording the same margin of victory in the semi-finals when overcoming Chinese Taipei’s Chen Ying-Chen, Tsai Yu-Chin and Wu Yi-Hua. Similarly, at the quarter and semi-final stages, Miyu Nagasaki, Yuto Kato and Maki Shiomi had recorded three-nil wins. In the round of the last eight they accounted for the Spanish trio of Ana Garcia, Marina Ninguez and Zhang Xuan, the no.8 seeds, prior to defeating the no.4 seeded Romanian outfit formed by Andreea Clapa, Andreea Clapa and Andreea Hudusan. Team events at an end, play concludes on Sunday 6th November with the individual events in the cadet age group category.